The ONLY downside.. the serving is so small. Seriously, you have no idea how small that 1 1b of zucchini is going to get. And you are not going to want to share.. lol. Basically this recipes makes one nice sized serving for one person.. yep one. But I am marking it 1-2 servings. 1. These have a nice peppery taste. If you are a big fan of salt and pepper chips you could even add more. But be careful since they shrink down so much, a little goes a long way. 2. The olive oil is super yummy on them, but it’s greasy. I did not actually try them with out the oil, but my guess is that they would be fine. 3. * You need to slice these VERY thin. The tried a second batch on my mandoline slicer on the thicker blade. I loved that it took less time to slice and took up less room in the dehydrator, meaning I could fit more in. But those suckers would not get crisp. They were in there about 10 hours and still were chewy. So that did not work. 4. 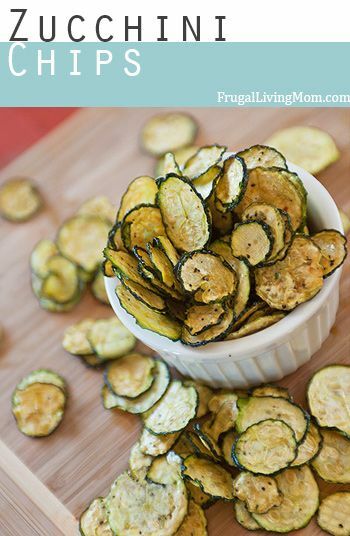 You can make your Zucchini Chips in the oven instead of a dehydrator . Here are directions for that. I love having a dehydrator. It doesn’t get a ton of use, but when I do use it I am so grateful to have it. This Nesco Snackmaster Pro Food Dehydrator has over 2000 reviews and close to 5 stars! 5. 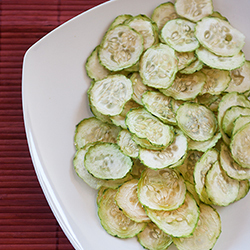 If you love vegetable chips check out my Crispy Cucumber Chips here. Wow! I am making these tomorrow! I also did these in a dehydrator but then popped them under my broiler for a very short period (stand there and watch them) to get a nice crisp on them, loved them! What degree for the oven, and how long in oven? I grow my own zucchini and always looking for a way to use them. Thanks. Looks delicious! I may have to try this tomorrow. Wow, those look good and look easy to prepare. Thank you for sharing. We love Zucchini!! I can't wait to try this recipe. It looks delicious! It looks crispy and tasty! Nice idea. Those look yummy! I need to try them for sure! Time to get out my dehydrator again! Thanks for the recipe! I have tried these cucumber chips and absolutely love them. These sound so yummy!!! I am gonna make these for our weekly movie night!! So much better for ya than potato chips! Sounds good and nutrious! The only thing I would add is some cayene pepper!! The chips looks yummy and healthy, my little boy will surely like this. I love zucchini but have never thought about using it in a way such as this. 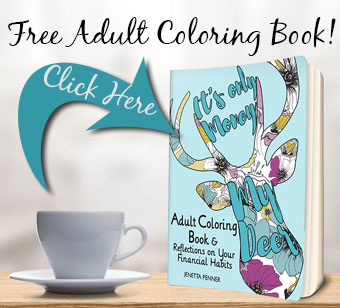 I will try this one out. Thanks for the recipe. Going to have to try this sometime, sounds so good, thanks. I'm going to try these. I know what you mean about the serving size. Squash has so much water it tends to cook down fast. I've never had zucchini chips before. They sound kind of good. omg this recipe is awesome, thank you so much i love it. OMG...this looks so good! I will be making them this weekend. They look delish. My 6 dehydrater is broken :( glad you included oven directions. sounds like a wonderful way to get in those vege servings. I love zucchini but have never had it like this. I am sure I would like it. Thank you for including oven instructions as I do not own a dehydrator. They look so good, i am going to make them in the oven!! OMG! looks so yummy! I can't wait to try this recipe! I cannot stand zucchini but these actually look pretty good. Will have to try them out soon. Thanks for the recipe. healthy chips! count me in! Thank you for sharing I am going to try this with Summer Squash as well. These look perfect to serve at a summer cookout! These look so tasty and will try to make zucchini chips sometimes. I use TopChip trays in the microwave so they are done in a few minutes. Also, if you don't want all the oil but want the flavor you can use the olive oil flavored 'Pam' spray. Thanks for the recipe! I stumbled across it on pinterest and decided to make it http://epichealthnut.blogspot.com/2013/06/zucchini-chips.html. They turned out absolutely delicious. I baked them in the oven for about 30 minutes I think. It was a genius idea to make this. I really enjoyed it. Thanks so much! I love Zucchini Chips. This looks amazing tasty I could eat with my eyes!!! Great job!!! How does storage work for these? Like how long can they be stored? And in pantry or fridge? I have made other dried fruits and veggies, and I just put them into ziplocks. Not sure how long you could store. delicious! I have made these myself. How long and what temp if done in the oven? I assume that you have a lot more education or college you manage to acres articles so complex. I canned about 40 pints of sliced zucchini this summer for frying and about 8 pints of shredded zucchini for making bread. One of the stores had them on sale at 3 for .99 cents. I saw in there ad that they are back on for that price. How long would these last if they were vacuumed in jars or bags? do you think the vinegar can be omitted? sure.. it just gives a bit of "tanginess"
Love it!! Oh my gosh I need to start dehydrating foods. These are gorgeous and sound amazing. I've been wanting to get a mandolin for YEARS. And these sound amazing--I definitely need to try them. Pinning for later! Found you on Say G'Day. Thanks for sharing! Yum! I love both zucchini and cucumber and am trying to get away from corn and potato chips! I don't have a dehydrator, but am definitely planning on trying these in the oven. These sound so good! I shared them in a blog here: http://wedigfood.com/foodie-blog/vegan-party-foods I am building a community of vegans and would love for you to hop over and leave a recipe. Can I bake these like when I make Kale Chips? I'm getting a lot of yellow squash in my CSA this season so I may try this recipe with yellow squash AND zucchini! Is the apple cider vinegar just for flavoring, or does it do something chemically to the zucchini? How long can I store these? I'm gonna buy a dehydrator now.